If you want to completely eradicate pests from your home, an inspection from AGJ Pest Management is the perfect option. Our professional team will investigate every inch of your home, inside and out, looking for the tell-tale signs of pest infestations. We can even help you identify and address the risk factors around your home that could lead to future infestations. Sometimes, the signs of a pest infestation aren’t obvious. It takes a trained eye to spot the tell-tale clues left behind by pests. The foundations of your home can reveal hidden signs of a pest infestation. Pests can gain entry through damaged areas or by burying through. Your roof is another common entry point for insects such as cockroaches, wasps and bees. The team at AGJ Pest Management always keep an eye out for the structural damage that insects or rodents can cause to your home. This damage can be irreversible, so regular pest inspections are absolutely essential to avoid large scale infestations. Though you may be unaware, you and your family could be sharing your home with a whole host of pests. Insects and rodents could be lurking in every room of your home, including bedrooms and lounge areas. 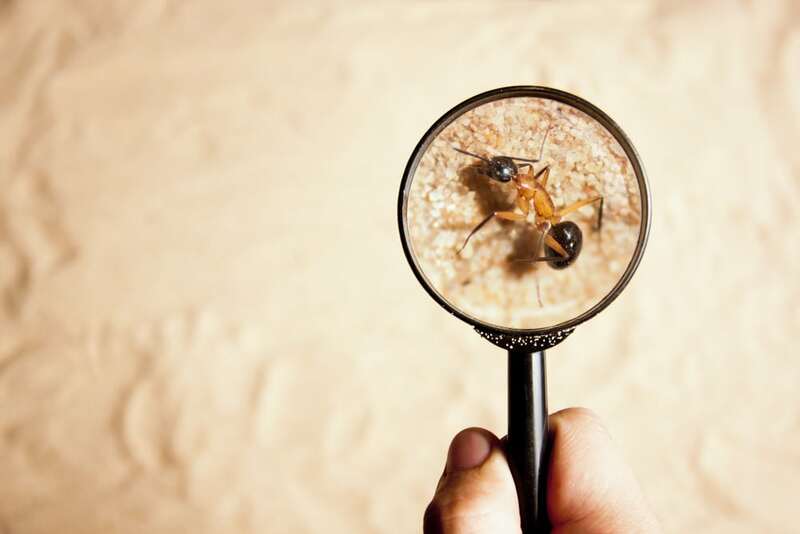 During a pest inspection, AGL Pest Control will inspect every nook and cranny, looking out for signs of rodents and insects. We pay particular attention to kitchen and dining areas, as this is where pests are likely to nest and congregate. The team at AGJ Pest Management will always leave your home as neat as we found it and work efficiently to minimize any disruption to your day. It’s important to safeguard the outside of your home against pests. Though you may think your home is protected, insects and rodents always seem to find a way indoors. At AGJ Pest Management, we are familiar with local pests and know all their sneaky tricks. We check every inch of the perimeter of your home, keeping a careful eye out for possible entry points such as cracks in your walls, damaged foundations or open windows. If you’re experiencing a problem with wasps or bees, AGJ Pest Management can locate and remove their hives and nests, safely and permanently. Purchasing a home is one of the biggest decisions you will make in your entire life. It’s important to know you’re investing in a structure free from pest infestations and the damage they can cause. At AGJ Pest Management, we provide thorough pest inspections of homes prior to purchase, assessing existing damage and checking for signs current infestations. Although your home may be free of pests right now, this may not be the case in the future. We can undertake specialised risk assessment inspections to help you come to an informed decision about your family’s future. Don’t leave it until too late. Call 0421 533 002 to learn more about our ant extermination services, or enquire online.